The Most Interesting Man Alive? . . . Yesterday I was asked my favorite question. . . twice. “What are you reading?” I love that question for the simple reason that it tells me that the asker is inquisitive, teachable, primed for growth, and serious about life. It’s especially joy-inducing when it’s asked by a youth worker, which was the case both times yesterday. That, to me, is a sign of hope in our youth ministry world. Right now, I’m reading one of those good books. It’s a book that’s doing more than just “getting through.” It’s piercing, in fact. 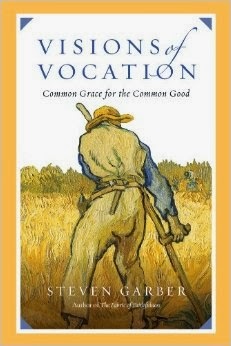 The book is the newly released, Visions of Vocation: Common Grace for the Common Good, by my friend Steve Garber. Be forewarned: it’s a slow read in the sense that you must take it slow if you are going to ponder and absorb the richness of each paragraph and page. Those of you who know Steve would expect nothing less. Let me tell you something about Steve. If I had to name my “Dos Equis guy”. . . you know, “the most interesting man alive” . . . Steve would certainly be a finalist. Perhaps you’ve heard me talk about meeting Steve when I was a Freshman at Geneva College back in 1974. I was more interested in enjoying life than in any kind of academic pursuit (and uniquely gifted to do so). Steve was an upperclassman who co-lead my Humanities (History of Western Civilization) discussion group, a class which wavered between headache and necessary evil for nearly all of us freshmen. I remember two things about Steve. . . he was incredibly passionate and invested in intellectual pursuits, and he was incredibly thoughtful. He knew that our Humanities class mattered. At the time, I didn’t. Now, I do. Steve had wandered around a bit in search of life’s meaning and truth (a very 60’s and 70’s thing), and had wound up for a time at Francis Schaeffer’s L’abri, an experience which if it appears on one’s resume, makes me want to listen. Today, Steve is the principal of the Washington Institute for Faith, Vocation, & Culture, which is focused on the meaning of vocation and the common good. He’s a man who advises and mentors all kinds of interesting people who are movers and shakers in the worlds of politics, business, and entertainment. I would liken him to a sage. You would know many of their names. Steve helps them, and us, see that we are each responsible, for love’s sake, for the way the world is and the way the world ought to be. 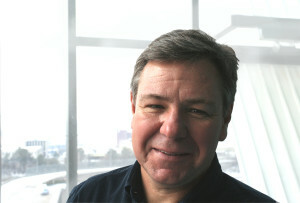 “We are called,” he writes, “to be common grace for the common good. . . . To learn to see – to see ourselves implicated in history, to see that we share a common vocations to care not only for our own flourishing, but for the flourishing of the world – is the vision that has brought this book into being.” Steve is someone who reminds us that all work and play matters, and it matters how we do our work and play. ← Steven Furtick, Elevation Church, and Some Words of Caution. . .
Walt, as one of the most interesting friends that you have, let me say how much I enjoyed your post. Thanks. Walt, as one of the most interesting friends you have, let me just say how much I enjoyed your post. Thanks.